Who would have thought that my nightmare of eating in Bonifacio Global City would end? To eat in the area means buying off from convenience stores or those women with plastic boxes in bus stops. Its either still a bit expensive or inconvenient. Thanks to some friends, I was guided to a place where one can dine in with complete meals and ease. The place is called Tezman, a convenience store. Its almost a hidden eatery and thanks to google this time, I was able to pinpoint it correctly here. When you go in the store, its not your typical convenience store. I can call it more like a sari sari store. Inside there's a counter filled with food where one can order a complete meal (with two viands) for less than Php100. I ordered one whole order of pansit as I thought being in BGC, it would be a bit expensive. Lo and behold, I was wrong. I was wrong in serving size and wrong in the price. Serving wise. My plate of pansit was big. See the main picture? I had a plate full of it. 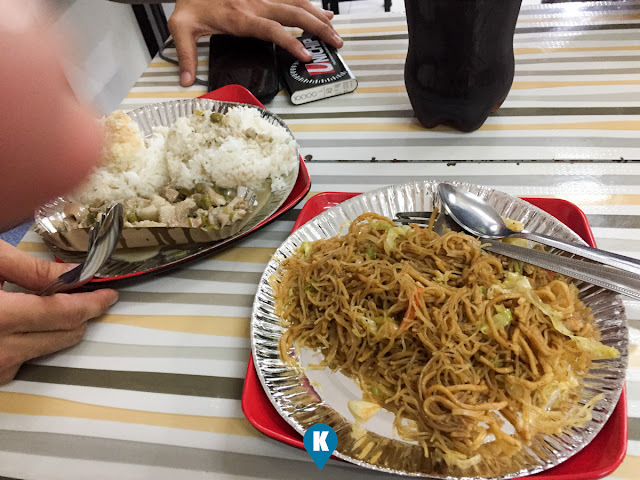 Usual karinderia type pansit would just a small amount costing Php25. Theirs was a surprise for me, Php39. Just a few pesos more. Taste wise. 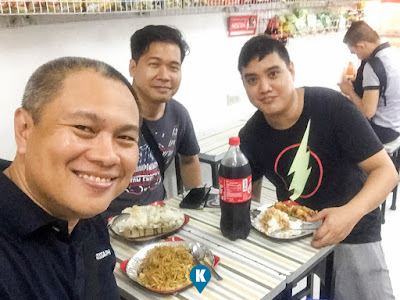 The usual karinderia pansit that tastes like soy sauce is your pansit here. A much better version is theirs. Aside from the usual pansit canton noodle, they have bihon mixed in too. Although having soy sauce as the main flavor (or is it the oyster sauce?) having throwing in bihon, gives a fresh taste to this pansit. Service wise. It was later in the afternoon when we visited and there was no queue so immediately we were attended to. Like your typical karinderia, you can just point to the dish you want and they would be served in paper plates. My order came fast as I had no rice and viand. Price wise. For Php39 in BGC? That's a big wow for me. Enough said, go here.